Place whole head of garlic in aluminum foil and add 2 tbsp olive oil (seal foil tightly). Roast garlic in aluminum foil for 1 hour. Remove and allow to cool. Remove and discard garlic clove skins. Place individual cloves into a mixing bowl. Mash garlic cloves with back of spoon until smooth. Add mayonnaise, Dijon mustard, black pepper, salt, and chopped parsley and mix together until everything is incorporated evenly. In medium bowl, toss fingerling potatoes with salt, pepper, and olive oil. Place potatoes on a baking tray and roast in oven for 30 minutes. 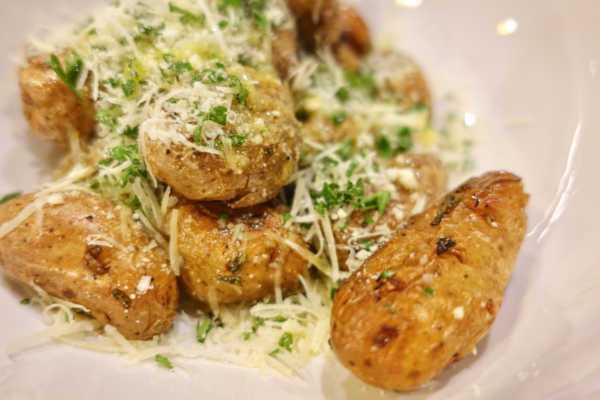 In a medium bowl, mix the hot potatoes with the grated parmesan cheese and parsley. Peel the outer skin off the onions and slice into 1/2-inch-thick rounds. Brush with olive oil and season with salt. Grill on medium to high heat for 5 minutes per side. 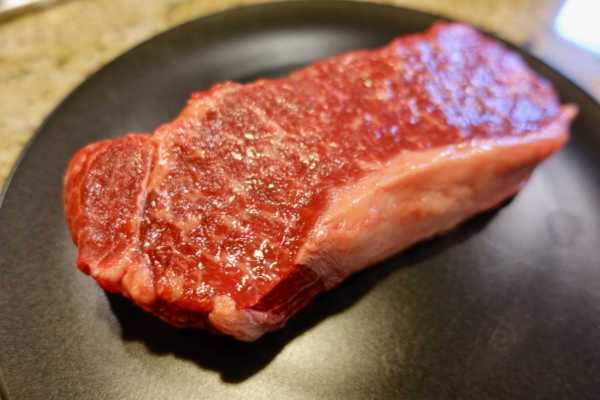 Leave steak out at room temperature for 30 minutes. 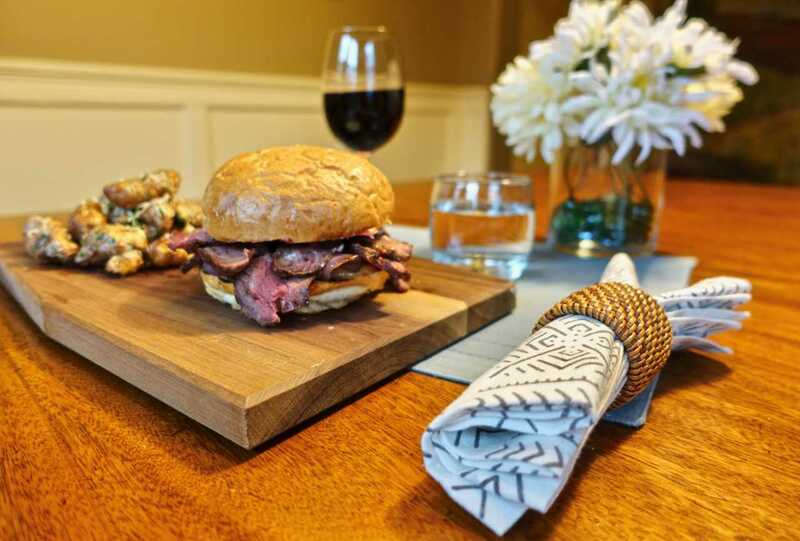 Preheat grill to highest possible temperature (500+ degrees). Season steak generously with salt and fresh-cracked pepper. 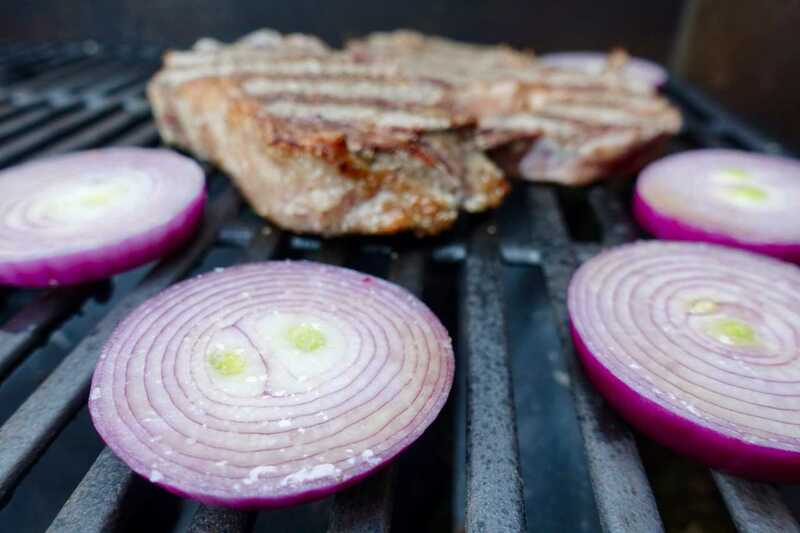 Place steak on the hottest part of grill. Close lid and cook 4-5 minutes on first side. Flip steak and cook the other side for 5 minutes, or until medium-rare. Allow to rest, then slice thinly. 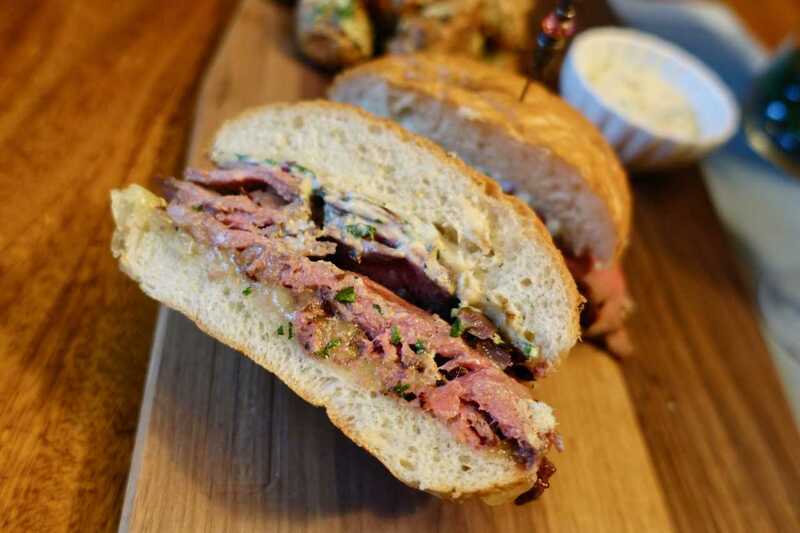 Spread rolls with garlic-herb aioli and top with grilled onion and steak slices. 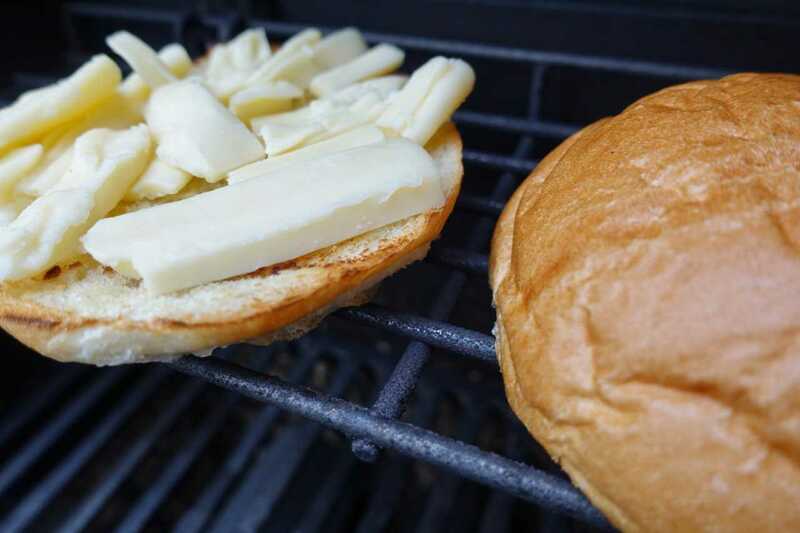 Close and cut rolls in half. Serve alongside roasted fingerling potatoes.